The thought of going head-to-head with competitors leave you feeling unsettled? Or does competition motivate you to work harder? The reason for this is simple. Competitor monitoring tools offer a deeper insight into your competitor’s business strategy. You see what is and isn’t working for them, and you can use that information to improve your own marketing campaign. When your competitor fails, you learn something. When they succeed, you also learn something. Either way, you gain valuable knowledge. You can use that knowledge to build on your strengths and overcome your weaknesses. Competition doesn’t seem like much of a threat anymore, does it? Didn’t think so. Here are 25 competitor research tools that’ll get you ahead of the competition. There’s a reason why MonsterInsights is the most user-friendly Google Analytics WordPress plugin. It’s easy to set up and even easier to use. Want to improve your SEO and marketing strategies? 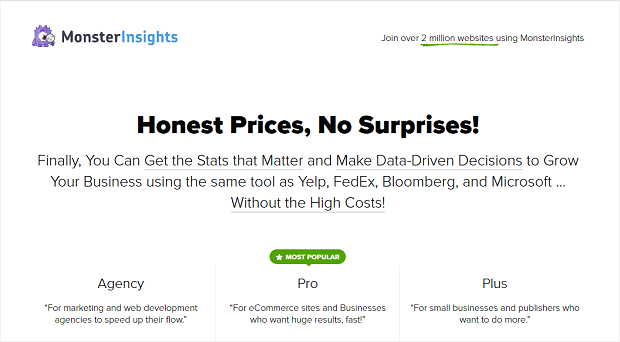 Use MonsterInsights with your competitor research tools. Learn from your competitors. 🕵️‍♀️ Bring popular elements from their marketing strategy into your campaign. Then, track your performance with MonsterInsights to stay ahead of the competition. Check out MonsterInsights’ flexible subscription plans to learn more. Ever wonder who’s sharing your competitor’s content? With Monitor Backlinks, you don’t have to. You can see what content your competitors are posting and which blogs are backlinking it. It also shows where you rank by comparing your performance with your competitors. 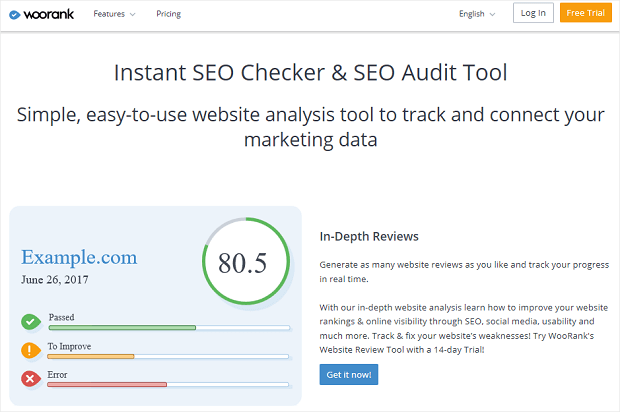 SimilarWeb is one the of most versatile competitor site analysis tools you’ll find. It shows where most of your competitors’ traffic comes from, as well as any similar pages they visit. Traffic is broken down into 4 sources, so you can see how each source performs. Those sources are: paid, social, search, and direct traffic. Want to dig deeper into your competitors’ content? SimilarWeb shows you which topics attract traffic and which topics flop. You can use this information when researching content ideas for your own campaign. Want to learn how to outperform your competition, but don’t know where to start? Try Alexa’s competitor analysis tools. They’re great for gaining deeper insight into your competitors’ performance. The number of pages linked to their websites. Search data and keyword insights. Alexa also segments traffic into 4 channels: organic searches, social media, links, and direct traffic. This lets you see which channels are the most (and least) successful for each company. But wait, there’s more. The Audience Overlap tool lists your competitors and where you rank among them. This tool is very useful for new brands that haven’t identified their competitors yet. 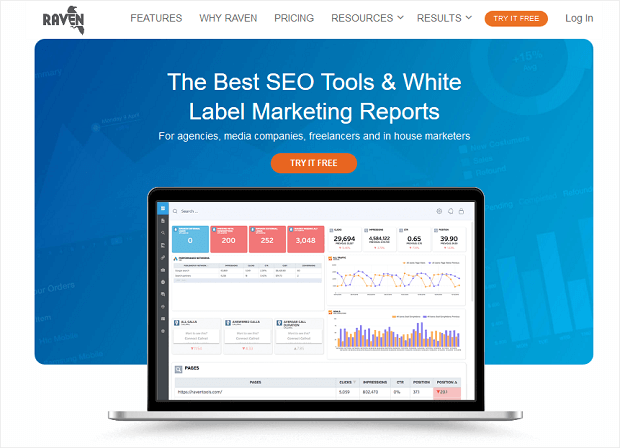 Raven creates detailed website reports for backlinks, keywords, social media shares, and more. What’s more, it compares your site performance with competing sites. This lets you compare and contrast websites, identifying your strengths and weaknesses. Rome wasn’t built in a day. But it might have been if it were powered by Ahrefs. You and your competitors gain or lose a backlink. Someone mentions keywords you’re following. You can even track competitors and measure their performance against your site. That way, you can learn from the competition and build a good SEO strategy of your own. Interested in optimizing your organic traffic and pay-per-click (PPC) advertisements? With iSpionage’s competitor research tools, you can. iSpionage gives you an inside look at your competitors’ marketing strategies. You can view trending PPC keywords, monthly advertising budgets, and more. It also has a keyword tool for finding trendy keywords for your own SEO and PPC campaigns. Want to get the lowdown on your competition? Then check out SEMRush. SEMRush is arguably the best SEO competitor analysis tool on the market, and for good reason. You can use it to find potential competitors, spy on marketing strategies, and more. This can give you a competitive edge when planning your content marketing strategy. Connecting brands with talented digital marketing agencies. Delivering a comprehensive SEO software solution that increases organic traffic. While awesome, neither of those services are UpCity’s greatest feature. What really makes the company special is its SEO Report Card. Simply enter a few quick details about your company and voila, you’re presented with a breakdown of your SEO performance and how you rank among your competitors. It’s essentially a free competitor analysis tool and SEO checkup all wrapped in one. You don’t have to be a secret agent to snoop on your competitors – you just need SpyFu. SpyFu gives you a complete rundown on your competition’s digital marketing campaigns. Everything from purchased keywords on AdWords to information on their keyword strategy is at your fingertips. And be sure to use the SEO reports to track your competition. This helps you stay ahead of the trends so you’re always pushing out the latest, most relevant content. 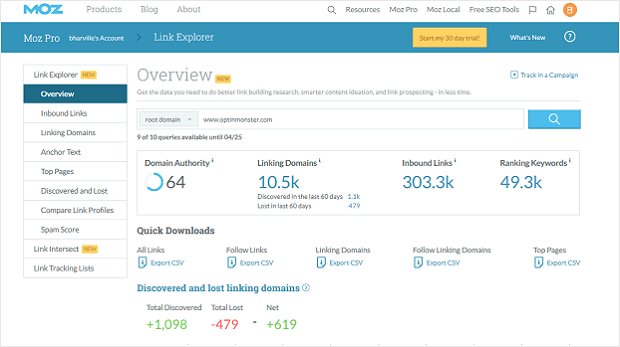 Link Explorer is a free competitor analysis tool by digital marketing titan, Moz. It replaced the now defunct Open Site Explorer tool. Paste your competitor’s address into the explorer bar to view their site’s performance. The Top Ranking Keywords feature displays popular competitor keywords and their monthly volume. 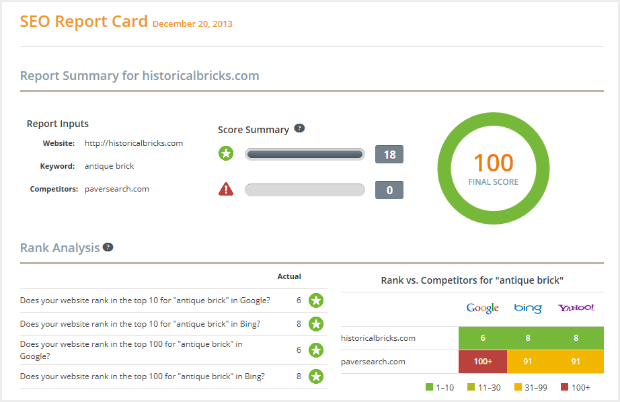 Every keyword has a difficulty score showing how easy or hard it is to outrank your competitor. Ever wanted an in-depth SEO report on you or your competitor’s website? With WooRank, you can in seconds. Simply enter a website address into WooRank’s search bar to get a comprehensive SEO audit on that site. The dashboard shows key metrics like bounce rates and page views in one convenient location. You can even compare your own SEO report to your competitors’ and see who’s performing better. Rank Tracker finds competitors’ keywords and assessing their domain strength. Website Auditor digs through competitors’ sites, generating SEO reports and listing potential problems that affect SEO and user experience. SEO SpyGlass indexes your competitors’ backlinks, giving you insight into their linking strategies. LinkAssistant helps you find link opportunities of your own so you can work on building relationships. Now, for the good news. If you’re getting started, use SEO PowerSuite’s free competitor analysis tools to grow your site. Or check out their premium features, like saving projects and unlimited link building. MozBar is an extension for Google Chrome. It’s developed and managed by Moz and helps measure the “domain authority” (DA) of a website. If you’ve never heard of DA before, it’s a scoring system also created by Moz. DA uses a score to measure a site’s potential ranking strength. The score is between 1 and 100 and looks at various factors, like the number of backlinks and content quality. The higher the DA score, the stronger the SEO performance. Google Keyword Planner is a free tool for researching local and global keywords. 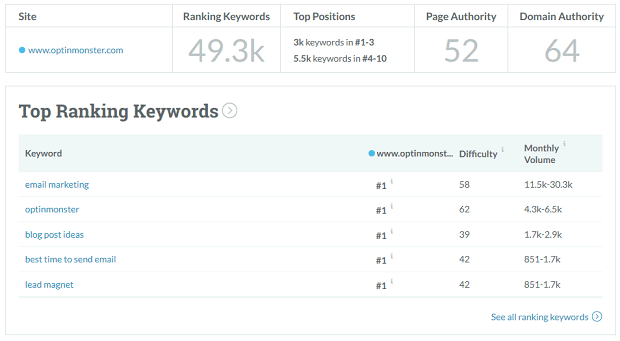 It shows you which keywords are trending and how competitive those keywords are. 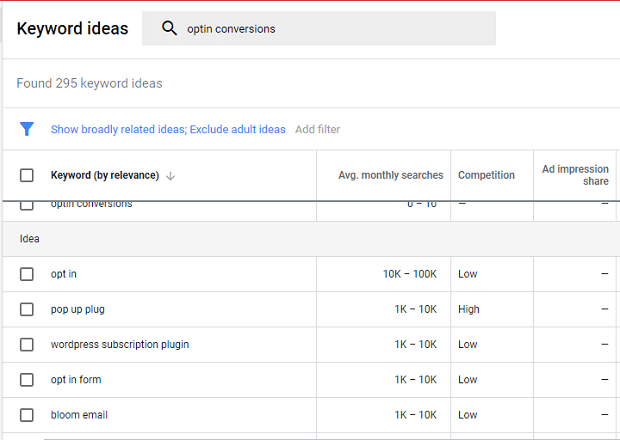 And while Keywords Planner doesn’t actually snoop on your competitors, it’s a good tool to keep around. Want to take the heavy lifting out of content marketing? With BuzzSumo, you can. Its content analyzer tool lets you develop an actionable content strategy aligned with your industry. But that’s not all, the tool also lets you compare your keyword performance alongside your competitors. This allows you to see who’s getting the most engagement across channels. Using BuzzSumo’s content analyzer tool is free. But you can upgrade to BuzzSumo Pro for $79 a month and see who’s sharing content and what they’re saying about it. Feedly isn’t one of the most conventional competitor research tools, but it’s great for keeping an eye on your competition. Basically, it’s a news aggregator. It lets you save and manage your competitors’ content by subscribing to their RSS feed. You can even set up notifications every time they publish something new. Best of all, you can use Feedly free of charge when managing up to 3 feeds. The pro subscription costs $5.41 a month and comes with Google keyword alerts and other perks. It’s not easy to keep up with what does and doesn’t work in content marketing. In today’s ever-changing landscape, trends come and go at the blink of an eye. Staying relevant means keeping your finger on the pulse at all times. Fortunately, there’s an app that helps with that – WhatRunsWhere. WhatRunsWhere is an advertising tool that measures the performance of your competitors’ ads. It shows you what’s good and bad about their campaigns. This helps you decide if you want to follow a similar advertising strategy or learn from their mistakes. WhatRunsWhere is also great for researching hot topics. It lets you see what your competitors are talking about. Then, you can decide if you want to jump on trending content before it becomes yesterday’s news. Ever wish you could conduct in-depth market research without doing the actual research? If so, you’re going to love Owler. This self-proclaimed “competitive intelligence” tool lets you build a list of competitive companies. 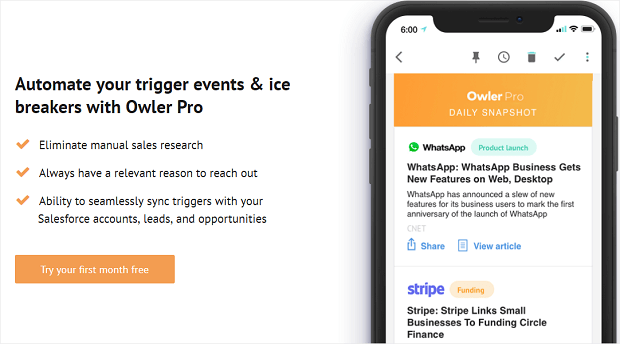 Owler then curates company data for you, notifying you when there’s breaking news and business insights (funding, acquisitions, etc.). You know what they say about keeping your friends close. Ontolo is a data mining tool that analyzes web traffic, tracks backlinks, and collects content. You can use its extensive features for SEO, as well as optimizing traffic and content. But it’s the competitor research tools that make Ontolo stand out from other platforms. That’s because Ontolo scours the web for competitor data and stores it in a database for later. Learn more about your competitors. See who’s following and engaging with your competitors. Look at the type of content your competitors are publishing. Get started by giving Ontolo keywords and your competitors’ URLs. It will do the rest of the research for you. 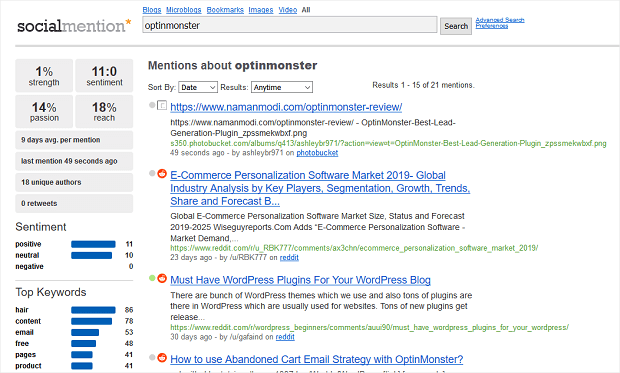 Social Mention lets you search keywords and topics across blogging platforms. When you search a competitor, you can see who’s mentioned and where. Results are pulled from various online communities, like Reddit, Twitter, and Photobucket. Overall sentiment (positive, neutral, or negative). You can use this data to see who’s talking about your competitors online. To lump Sprout Social in with other competitive research tools would be selling it short. That’s because Sprout Social is no mere snooping tool. Instead, it’s an extensive social media management solution for boosting engagement. With that said, Sprout Social does have tools for monitoring competitor activity. Two of its most popular features are the competitive analysis tools for Facebook and Instagram. You can use these tools to compare your growth and activity to your competitors. The metrics are displayed in a dashboard, so you don’t have to track them down manually. Social Searcher tracks mentions on platforms like Facebook, LinkedIn, and Twitter. It’s a great tool for researching what people are talking about and sharing on social media. Also, navigating Social Searcher is a breeze. Just search the name of the competitor or topic you’re researching and the platform takes care of the rest. Recommended Reading: Do Social Shares Really Matter for Google Ranking? 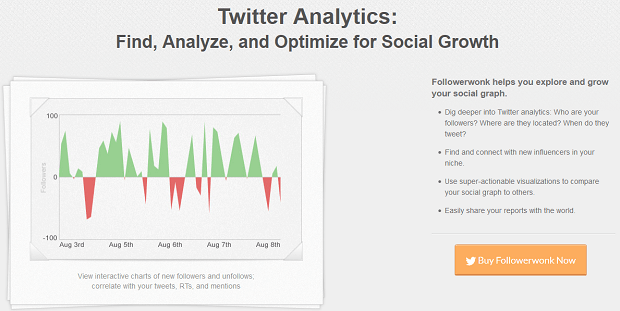 Followerwonk is a freemium tool for diving into your competitor’s Twitter activity. It shows who’s talking about you or your competitors. Even better, you can use Followerwonk to track topics or individual Twitter profiles. Try Followerwonk for free and enjoy its basic tracking services. These services include tracking engagement ratings, follower demographics, and top keywords used. You get even more tracking tools if you order the premium subscription for $29 a month. 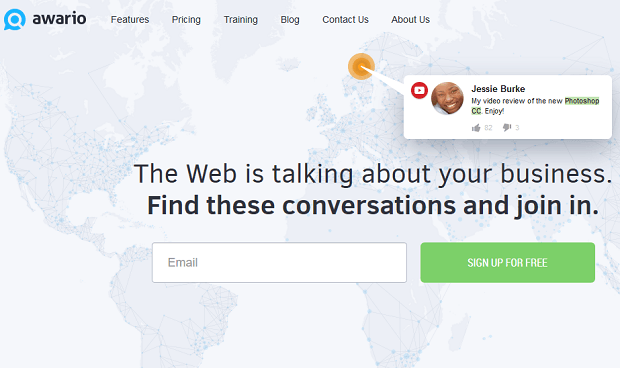 Awario is a social media management tool for tracking conversations across social media. Like the other social media tools mentioned, Awario shows you who’s talking about what. You can use it to track topics and profiles. You receive real-time alerts every time someone mentions your tracked content. And you can even set alerts for domain names. That way, you’ll always know who’s mentioning a website and why. There you have it! This list of competitor research tools has everything you need to perfect your marketing campaign. Use your competitors’ success to increase your web traffic, then use OptinMonster to turn those visitors into quality leads. You can learn more about that by reading our lead generation strategy guide. Better yet, sign up for OptinMonster today and launch a comprehensive lead generation campaign in minutes. 🚀 That way, you’re already set up to convert visitors coming in from your competitors’ websites.